Butane VS. CO2 Extraction: How Do They Compare? Cannabis concentrates certainly provide an experience like none other. But, how do the two most common types compare? Here’s how butane and CO2 extraction oil compare. It’s often said that CO2 extraction is healthier than BHO. But, is that true? When it comes to butane (BHO) vs. CO2, how do they compare? Unfortunately, when it comes to extractions, there is a lot of confusion out there. Here’s the scoop on what distinguishes BHO and Co2 extraction and how they differ in overall effect. 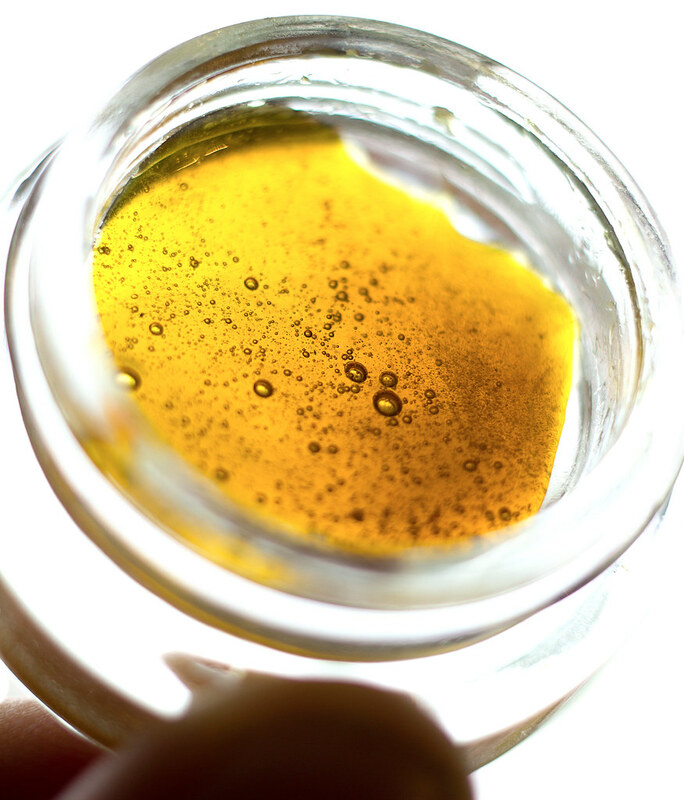 Extractions are concentrated cannabis oils. Like all plants, cannabis produces an essential oil. This essential oil is what contains the beneficial and psychoactive cannabinoids like tetrahydrocannabinol (THC), the compound that causes the famous high. With cannabis, these oils are most concentrated on the surface of the flowering bud of female plants. However, fan leaves can also contain small amounts of resin and are sometimes included in extractions. To separate these oils from the remaining plant material, extractors use solvents to remove and melt resin glands called trichomes. Since these trichomes are lipids (fats and associated molecules) they cannot be removed with water. Instead, substances like butane, carbon dioxide, and alcohol are used to strip oils into a concentrate. Two types of extractions are the most common and popular in cannabis shops and dispensaries. The first is butane hash oil (BHO), which is often used for dabbing. The second is CO2 oil, which is often used to fill vapor pens and creates an end product with a consistency similar to honey. Out of the two solvents, BHO is the most dangerous. To safely make cannabis concentrates, extraction professionals use both solvents in a closed-loop system. This is a sealed process, which means that there is less risk of explosion. Worst case scenario, when people try to make these products in open air at home, there is a high likelihood that you might blow up your house. There are a few reasons to prefer one product over the other. While CO2 is more convenient, the wide selection of BHO products available in legal areas hints at the popularity of the extract. Here’s how BHO and CO2 concentrate compare to each other. BHO is one of the most popular cannabis products around. It comes in a variety of different textures and consistencies, from glass-like shatter to a crumbly wax. Often featuring between 60 and 90 percent THC, BHO is one of the strongest cannabis products on the market. Though BHO often gets a bad rap, this form of extraction creates a delightful end product. BHO tends to be flavorful and features stronger terpene expression than CO2 extraction. Terpenes are flavor and aroma molecules found in plant resins. This means that consumers will get an excellent feel of an individual strain. Unfortunately, BHO does have a major downside. BHO is more likely to contain residual solvents, which can be irritating to the lungs and exposes your body to excess pollution. BHO that is professionally extracted and has passed laboratory tests contains a low risk of residual solvents. Though, homemade extracts are often not pure. While many may find it surprising, C02 extraction is extremely hard on the cannabis plant. CO2 extraction technologies rely on very high pressure, and this pressure strips the plant clean. During the CO2 extraction process, many of the flavorful terpenes are removed from the cannabis resin. Straight Hemp uses a unique CO2 extraction that can be compared to the process used for making cold brew coffee. Our sub critical CO2 extraction is at a lower pressure and temperature than average CO2 extraction methods. This enables more terpenes to be preserved, and then we reintroduced those terpenes into our final products. According to ProjectCBD, cannabis is thought to produce over 140 different terpenes. Most of these terpenes are in such trace amounts that they are not noticeable, but the presence of these compounds gives each strain its unique aroma. Unfortunately, many CO2 oils have a similar smell regardless of the strain used in extraction. While cannabis typically contains an array of terpenes, the terpenes humulene and limonene tend to be more dominant in CO2 oils. These terpenes provide a citrus, hop-like aroma. By comparison, BHO tends to be extremely fragrant and is often a better representation of the true aroma of the strain. In general, the more terpenes present in your concentrate the better. Terpenes enhance the medicinal effects of cannabinoids, as well as add subtle depth and slight differences to the overall effects of individual strains. Depending on the type of extraction technology used, many producers choose to add terpenes back into the mixture once the process is completed. However, not all CO2 concentrate manufacturers re-introduce native terpenes. CO2 extractions are often lower in THC than BHO, containing between 50 and 75 percent of the psychoactive, though there are some exceptions. Yet, there are some real benefits to CO2. CO2 extractions are thought to provide the lowest risk of residual solvent, which means that consumers are less likely to inhale unnecessary pollutants like butane.